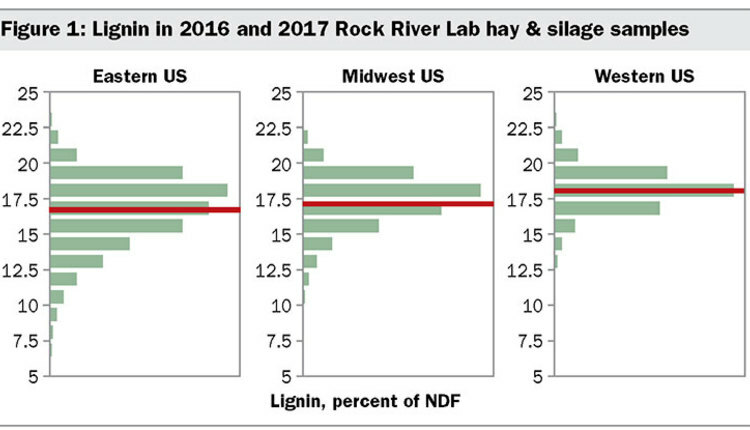 Late summer alfalfa planting success depends on the right soil moisture and sufficient growing time to get plants established before winter arrives. The older we get, the faster summer seems to go by. Just as we begin to enjoy bright sunshine and warm weather, fair time and school time come along to signal the approaching end to another summer. This is also the time when summer seedings of alfalfa take place. 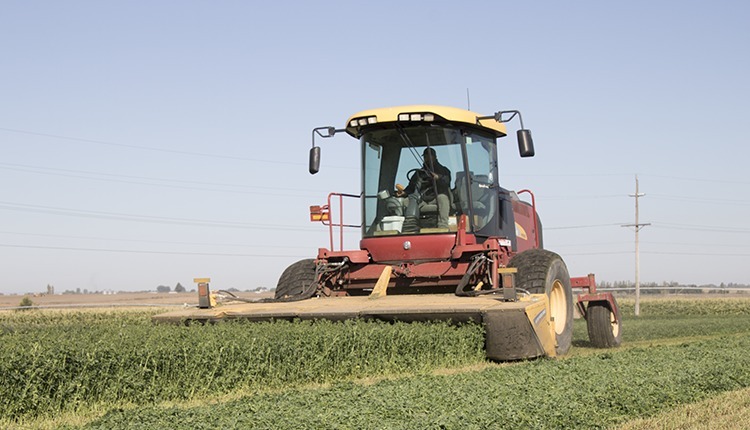 Some alfalfa growers prefer to plant alfalfa in late summer to help establish alfalfa without taking the seeding year penalty of spring seedings. While some risks exist, late summer seeding can be a very successful practice in many parts of the country. 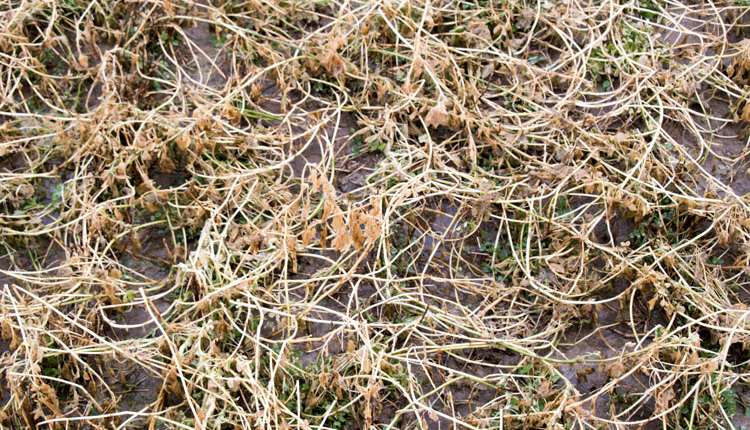 The drivers of success with late summer alfalfa come down to having the right soil moisture conditions and sufficient length of growing season to get the seedlings established and fit for winter survival. To get alfalfa established, seed must be placed into soils with sufficient moisture to quickly germinate the seed. In addition, there should be enough moisture available for the young seedlings to develop a root system and survive late summer dry periods. Knowing when your average time of first freeze (28°F or lower) occurs is another critical piece of information driving your decision about when to plant in late summer. Ideally, you want to plant six to eight weeks prior to first freeze. This ensures sufficient time for seed germination and seedling growth, including time for buildup of carbohydrates in the roots for winter survival. Having three to five or more trifoliate leaves before freeze-up is a good target for alfalfa. Having more growth than this is not an issue, but having less puts the young plants at risk of winter injury. Planning and preparation are keys to getting a good start with planting alfalfa, no matter when it is planted. This starts with soil testing prior to planting. If pH adjustments are needed, these should ideally begin at least 12 months in advance of planting. The key macronutrients for alfalfa are phosphorus and potassium. Phosphorus helps with early seedling growth, and potassium drives yield, winter survival, and stand persistence. Apply these fertilizers prior to planting based on soil test recommendations. 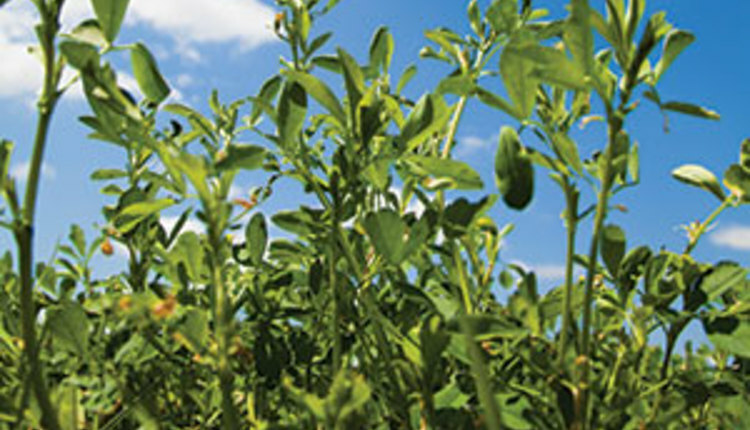 Avoid planting alfalfa into fields with questionable herbicide carryover from a previous crop. In addition, don’t plant alfalfa into a previous alfalfa stand due to autotoxicity concerns. 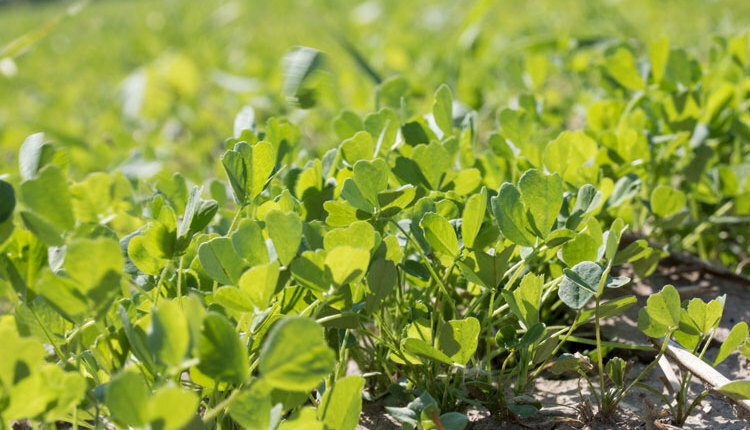 Control weeds prior to planting to give alfalfa the best opportunity to emerge quickly and develop normally during the late summer and fall growth period. Prepare the soil like you would for spring seedings. 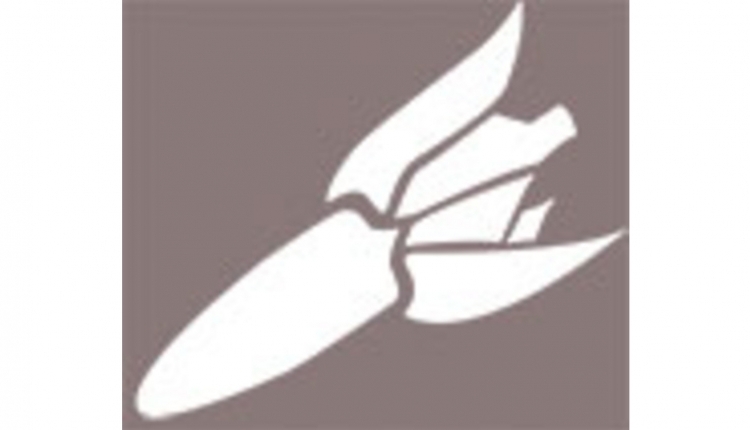 This means using tillage to achieve a firm seedbed for good seed-soil contact at planting. In late summer seedings, don’t overtill the soil since moisture is critical at this time of year and each pass of tillage dries out the soil further. Irrigate when available to get quick germination and sustained early growth. Finally, use the same seeding rates as used with spring plantings. After planting in late summer, don’t just forget about the field. These fields may require additional attention to successfully establish. 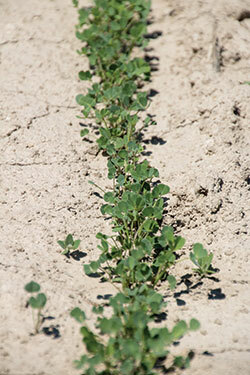 If planting after winter wheat, volunteer wheat plants may grow and compete with the young alfalfa seedlings. These need to be controlled by the time they are 4 to 6 inches tall to allow alfalfa to utilize the available soil moisture and sunlight for growth. Similarly, if other weeds emerge shortly after planting, they should be controlled, too. Typically, late summer seedings do not experience heavy weed pressure post-planting. For the most part, a cover or companion crop should not be used in late summer seeded alfalfa fields. 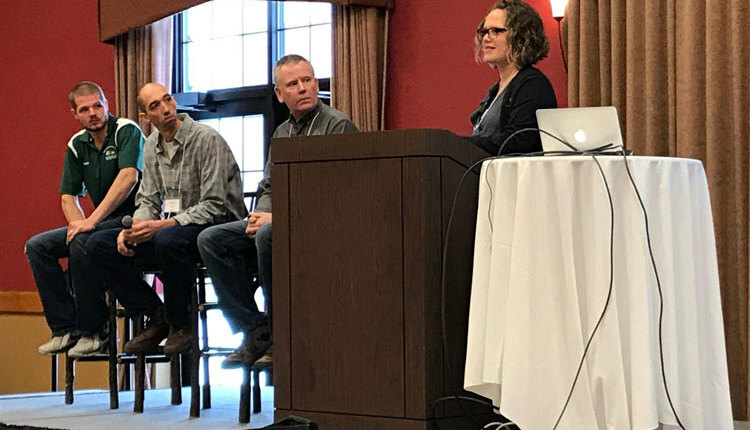 However, some soil types or locations may need a light cover crop to help protect the young seedlings from sandblasting or to prevent erosion. 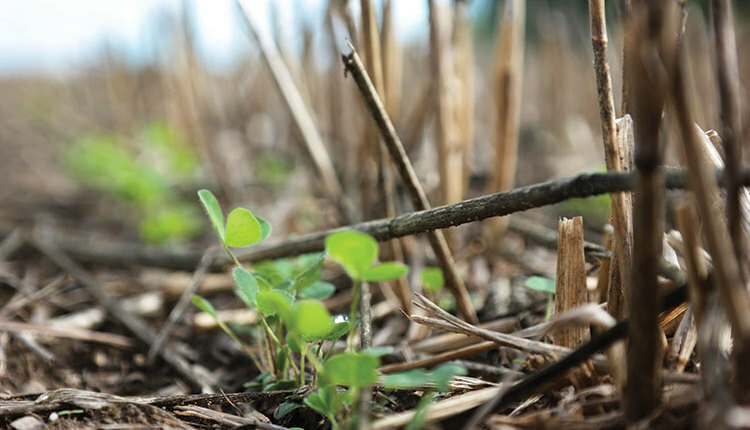 If a cover crop is planted, use light seeding rates, and plan to kill them when they are 4 to 6 inches tall to avoid excessive competition with the alfalfa. When a Roundup Ready alfalfa variety is used, make an application of glyphosate after alfalfa reaches the second trifoliate leaf stage to eliminate nonresistant plants. This also helps control any early weed or volunteer wheat growth. While insects are typically on the decline by late summer and fall, several species can be an issue in parts of the country, especially as you move south and west. For instance, grasshoppers can be abundant at this time of year and love to feed on young alfalfa plants. 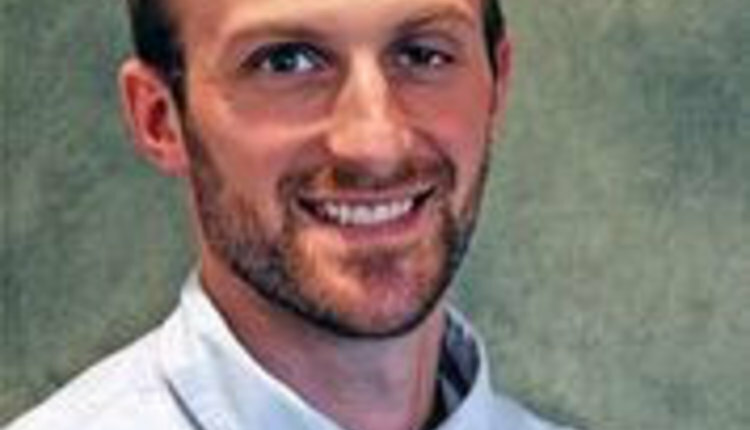 Monitor fields and grassy field edges for potential insect threats. Finally, do not cut or graze late summer seeded alfalfa since it will most likely result in stand loss over the winter. 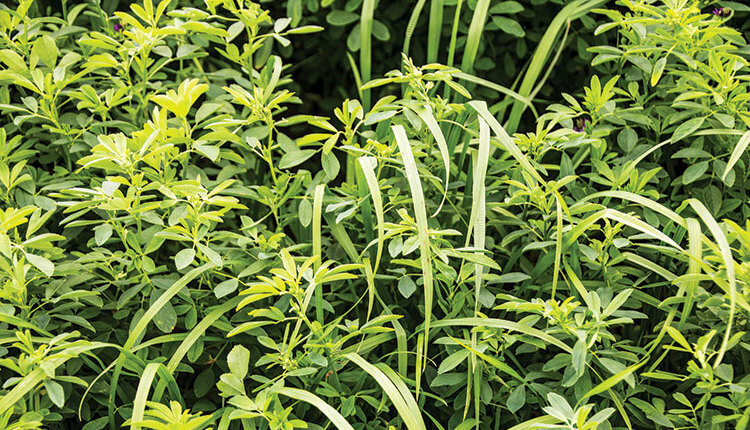 It can be tempting to harvest alfalfa when it grows 15 to 20 or more inches tall. Alfalfa does not smother with snow in winter if it gets tall due to its stem’s structure and small leaves. Resist the desire to cut during this first fall growth period after emergence.